The Memorial Candle Program has been designed to help offset the costs associated with the hosting this Tribute Website in perpetuity. Through the lighting of a memorial candle, your thoughtful gesture will be recorded in the Book of Memories and the proceeds will go directly towards helping ensure that the family and friends of Voncey Moran can continue to memorialize, re-visit, interact with each other and enhance this tribute for future generations. 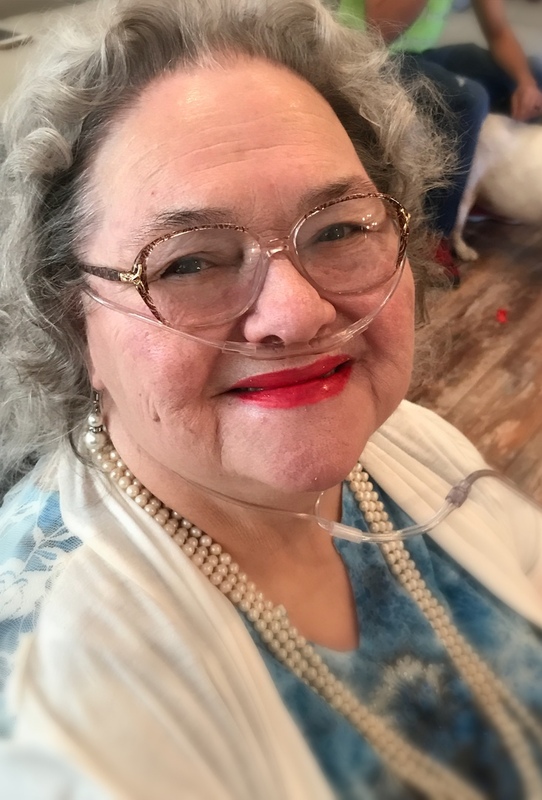 Voncey Cornelia Moran, 76, of Biloxi died surrounded by her loving family on Monday, August 20, 2018 in Biloxi. Mrs. Moran enjoyed her crafts, sewing, and planting flowers. She was a loving and courageous wife, mother, grandmother, and sister who loved everyone around her including her Wal-Mart friends. She is preceded in death by her parents, Bobby Sr. and Hazel Flowers and her son, Mark Moran. Survivors include her loving husband of 53 years, Roland Moran, Sr.; children, Jane Moran Allen, Roland Moran, Jr. (Kim), Edward Moran (Tonya), and Patrick Moran Sr. (Dorothy); grandchildren, Nicole Cook (Sean), Ashley V. Allen, Roland Moran III (Maddy), Aliseah (Katelyn), Brooke, Katelynn, Garrett, Patrick Jr., Chase, Marcus, Iycise, Antoni, and James Moran; great grandchildren, Adalynn and Maddox Cook, and siblings, Myrtle Robinson, Rena Wallace, Barbara Sather, Herbert Flowers, and Bobby Flowers Jr.
Visitation will be held from 1-2 pm on Thursday, August 23, 2018 at Southern Mississippi Funeral Services. Funeral services will be held at 2 pm at the funeral home with Brother Bill Renick officiating. Entombment will follow in D'Iberville Memorial Park. To send flowers to the family of Voncey Cornelia Moran (Flowers), please visit our Heartfelt Sympathies Store.